The Damascus Taiji (SH1013) sword is built around a hand-forged Damascus steel blade. 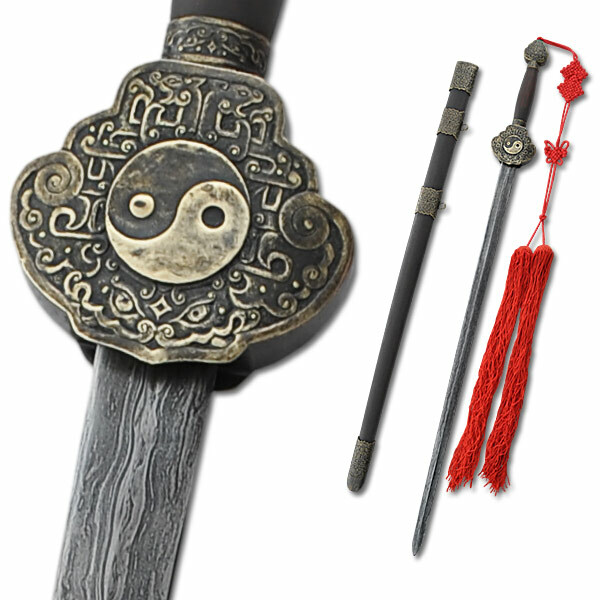 Crafted by CAS Hanwei to a completely different standard of quality than most pieces available, the Damascus Tai-Chi (SH1013) sword is built around a hand-forged Damascus steel blade, profiled to produce a fast, well balanced sword for the martial artist and an authentic piece for the collector of Oriental weaponry. The matching rosewood grip and scabbard with solid bronze fittings, decorated in the traditional Chinese motif, are meticulously finished in this heirloom quality sword.